Kim Junsu has proved his ticket power yet again. During the second round of ticket reservations that took place today for the musical ‘Elisabeth’, Kim Junsu sold out all of his shows in five minutes. 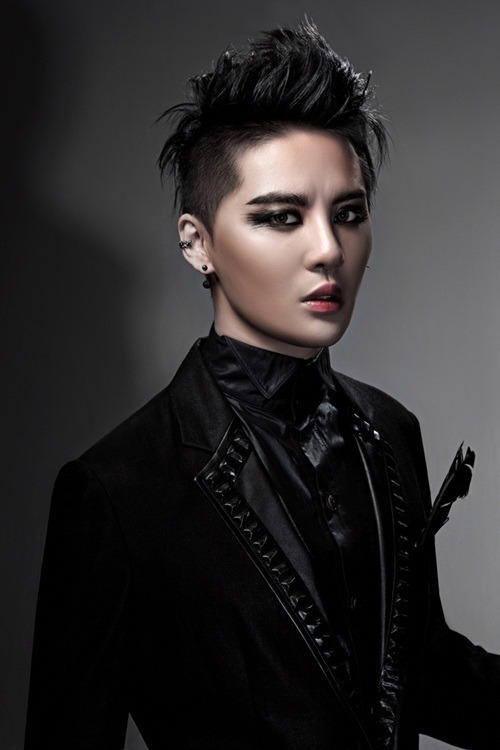 Kim Junsu was highly praised last year for creating the closest representation of Death that the original writer had intended. Receiving positive reviews from critics and audience alike, he won the Best Musical Actor Award at the 18th Korea Musical Awards. On the 1st, he released a teaser photo that showed him with dark hair and a mystical gaze. The musical ‘Elisabeth’ is a unique take on the beautiful Hapsburg empress Elisabeth. The fantasy character of Death has been added to the dramatic interpretation of the royal’s life, with a unique storyline of Death falling in love with the empress. With music created by Composer Sylvester Levay, who has also written the music for ‘Mozart!’ and ‘Rebecca’, the musical has been loved in Europe for over 20 years. Meanwhile, the musical ‘Elisabeth’ will open its curtains on the 26th of July at the Opera Hall in the Seoul Arts Center.